Ever wish you had simple dog booties to quickly put on your pooch when he needs to go potty in the snow or rain? Also great for protecting pool liners! 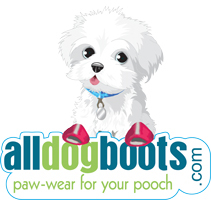 Pawz disposable dog boots that fit snugly without any zippers or straps. 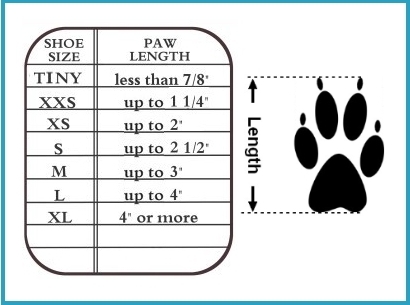 Pawz dog boots are made of biodegradable natural rubber and are comfortable for your dog to wear. Unlike other dog boots these stretchy, waterproof dog boots have no padding so your dog can feel the ground beneath him giving him more confidence and security. Stop fumbling around trying to get your dog dressed. These rubber dog boots are an economical, convenient and versatile choice for your paw-wear. Used worldwide by veterinarians to keep paws dry and protected after surgery. Ideal in any weather conditions and great for protecting pool liners during swimming. Great for protecting paws from burning hot pavement and preventing irritating burrs from building up on fur. What an idea! Disposable dog booties that are inexpensive and can be reused over and over again and then simply thrown away when wear and tear begin to show. The only such kind of dog shoe like this is the Pawz disposable dog boot. They are made of rubber and best of all they are very eco-friendly because they are completely biodegradable – no lasting remnants in our landfills. These colorful Pawz dog boots are bright and fashionable while still being practical because of the great protection for paws that they offer your dog. Some dogs don’t like to wear boots with padding because they lose the feel of the ground beneath their feet. Pawz rubber dog boots feel natural and comfortable on Fido’s feet. These disposable dog boots fit like a favorite pair of socks fit your own feet and they move right along with his paws giving him full range of motion. The booties are used my veterinarians worldwide to keep paws dry and protected after surgery.Pawz dog boots come in a package of 12 in beautiful bright colors. Watch your dog be the talk of the neighborhood when he’s skipping in his cool looking and comfortable new paw-wear. It’s very hard to find the shoes that my Pom will wear... But these ones!!! He doesn’t even realize he’s wearing something on his paws! My elderly dog can walk on tile again with his new rubber boots. They don’t annoy him like I thought they might. Small fits perfectly on my 12 lb dachshund. I think these booties should be serviceable for repeated use in snow. Not sure how long they would hold up on bare pavement. I would have given them 5 stars but the necks on these boots are quite tight and I fear they might restrict circulation in the dog's feet. Keeps our frenchie's feet dry and go on and off smoothly, work great. The only thing that worries me about the disposable boots is the elastic at the top. I am afraid it might be a little to tight. I don't leave them on my great dane, "Merle" for too long. He doesn't seem to mind them and they are easy to get on.